FastCompany today published an extensive piece based on a series of interviews with Apple executives discussing the companies misses, it’s philosophy to success, and future markets. The article is based on extensive interviews with Tim Cook, the companies CEO, Eddy Cue, the SVP of Internet Software and Services, Craig Federighi, the SVP of Software Engineering, as well as notable Apple pundits and analysts including John Gruber and Neil Cybart. 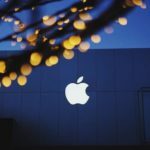 The article starts off discussing Apple’s recent earnings, and the notion that the company is ‘doomed’ after the loss of Apple co-founder Steve Jobs. While some worry that Apple is doing too many things at once, FastCo and Apple argue that Apple is an ever-evolving beast since Steve Jobs, and the Apple today is not meant to be run the same as it was in 2010. Apple’s recent Q3 earnings, which saw iPhone revenue go down for the first time and brought discussion of ‘doom’ to a peak, still saw the company having more than the combined revenue of Alphabet and Amazon in the same quarter. Profits wise, the company saw more than Alphabet, Amazon, Facebook, and Microsoft combined. The article goes into a discussion of Apple’s flaws, particularly the Maps app. 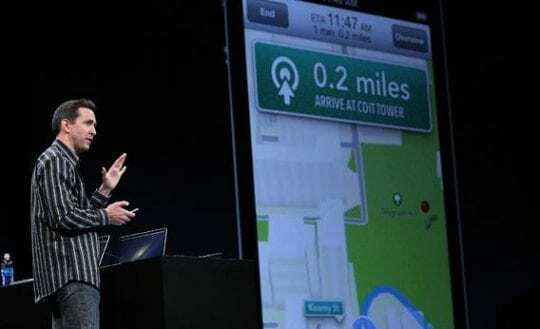 Launched in September 2012, Apple replaced the Google Maps app found on iPhone devices prior with a new, in-house app. The app was a disaster, giving incorrect direction the majority of the time, not knowing where roads were, and mixing up businesses and hospitals. Tim Cook explains that the company isn’t perfect, and that after the incident the company took a step-back and reorganized its priorities, including the ouster of Scott Forstall, the former SVP of Software at Apple, who is widely believed to have been pushed out for refusing to sign an apology letter written by Tim Cook, in addition to not getting along with other Apple executives, most notably Jony Ive. One of the fixes Apple made following the Maps fiasco was the introduction of Public Betas. Steve Jobs had been known to be against the concept, but Tim Cook and Co. felt that they were now operating on a larger scale, and before, problems only effected Apple users, and were easily fixable because they were on a smaller scale. Now, with over a billion iPhones, Apple needs to make sure their software is usable before hitting the public. 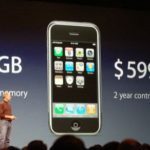 (T)he iPod, iPhone, and iPad—and the financial success they engendered—obscured the fact that Jobs oversaw almost as many flops as hits during Apple’s resurgence: the circular, nearly unusable mouse that came with the first iMac in 1997; 2001’s beautiful PowerMac G4 “Cube,” which was discontinued after one year; Rokr, a music phone Apple released with Motorola in 2005; the iTunes social recommendation network Ping, and many more. 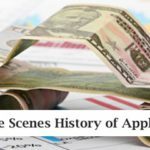 Over its 40 years of existence, Apple has been seen as a laggard in music, video, the Internet, telephony, wireless, content creation, networking, semiconductors, software applications, touch screens, gesture controls, materials, messaging, news aggregation, social media, voice recognition, and mapping. (That’s not even close to being an exhaustive list.) Nevertheless, the company has managed to survive by doing an unmatched job of integrating the most important of those technologies into products that eventually delight many customers. 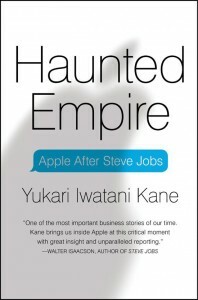 By the time Jobs died, Apple’s innovation process—the way it accomplishes that job of creating, acquiring, improving, and integrating technology—was polished and proven. 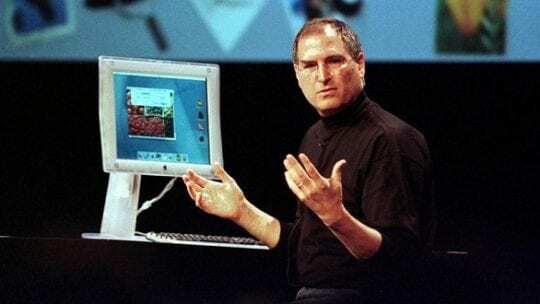 It was arguably Jobs’s greatest gift to his successor. Apple’s ‘innovation process’ is a major key of the article. 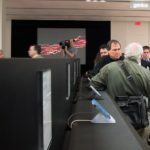 The Apple experience started off as one device, the Mac, that was great because of how it combined Software and Hardware. 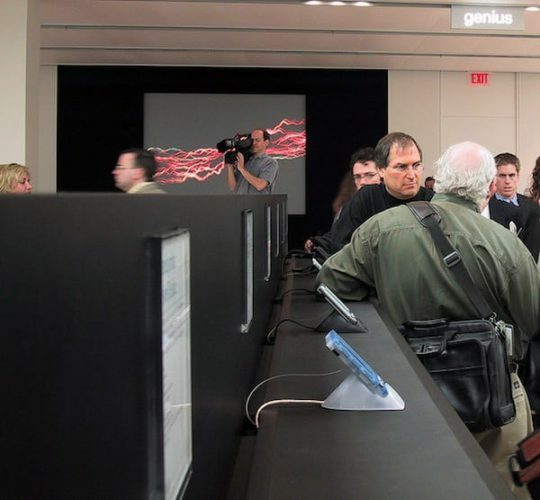 Today, the Apple experience involves owning multiple devices, and the web it creates. Apple believes what they learn from these devices is what sets the path for future devices, and helps continue the web. 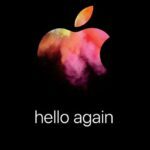 The article ends off discussing what Apple’s next market may be. Tim Cook admits that they may not see a market as successful, per unit, again, but many of the markets Apple appears to be interested in are exponentially bigger than the Phone market. Media and entertainment is a $550 billion global market. Global car ownership is a $3.5 trillion business. Annual global health spending is more than $9 trillion. One percent of $9 trillion is $90 billion. Even Apple might call that a pretty good business.